The last part of college is marked by different events for all of us. Some of us hole up at home for several months to write an involved and complex thesis. Some of us build four-ton sculptures that look like a revered Chinese general. 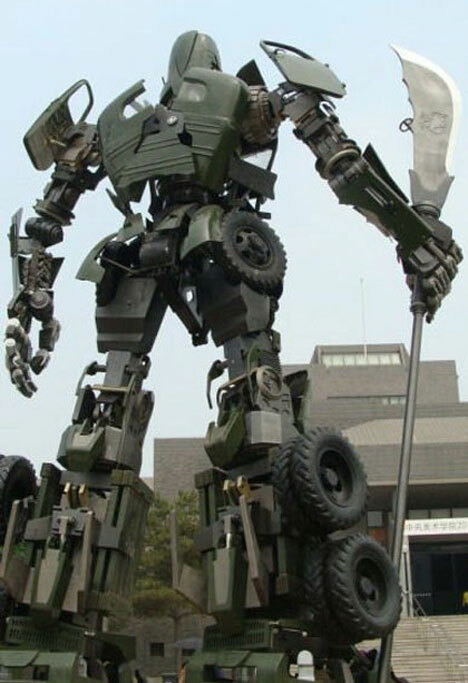 When he was graduating from the Central Academy of Fine Arts in China, Bi Heng took the latter option and constructed this intimidating 32-foot-tall mecha Guan Yu. Often called the “Chinese god of war,” Guan Yu was actually a well-respected general during the late Eastern Han Dynasty. He has become something of a mythical figure and stories about his accomplishments are often greatly exaggerated, but in life he was widely admired for his military and kung fu skills. 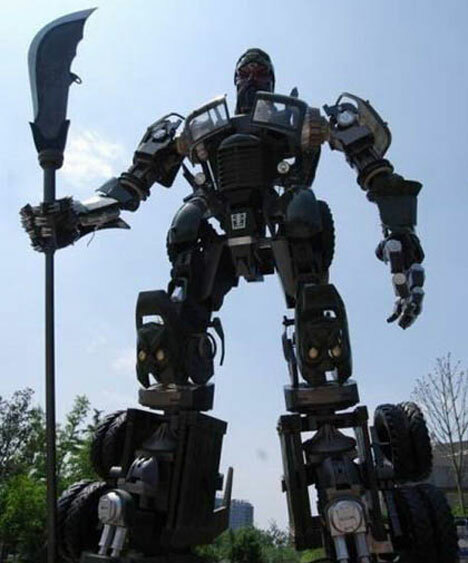 The sculpture is made of parts from a Jiefang, 25-year-old military truck used by the People’s Liberation Army. The components’ origins are apparent in places, such as the doors that make up the sculpture’s shoulder armor. Sadly, the sculpture doesn’t actually transform on its own but we can overlook that fact; we have a feeling if we didn’t, it might show up in our nightmares. See more in Art of Tech or under Technology. June, 2010.